It always seems that the more work you do in a garden, the more pest and disease problems seem to appear. For this reason, the keen home gardener and the professional landscaper need to be aware about what pests and diseases they may come in contact with, and how to control them. This Study Guide will help in the identification of these problems. Without correct identification, it would be very difficult to suggest a suitable method of control. For example, a hole in a leaf may indicate damage by a pathogen such as a fungus, bacterium, or virus, or it could be caused by an insect. If you thought the problem was caused by an insect and sprayed it with an insecticide, but it was actually caused by a virus, then the spray is totally wasted. 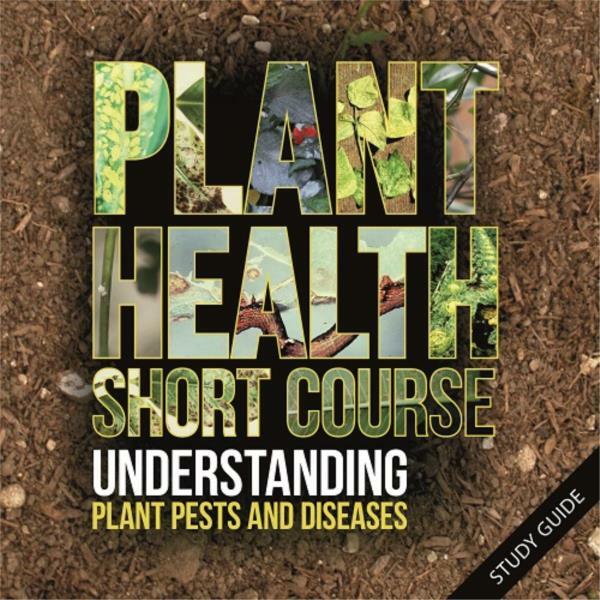 This Study Guide will help the home gardener and those working in horticulture at an entry level to identify and control a range of the most common pests and diseases of plants. We live in an age of heightened environmental awareness where there is an emphasis on caring for our environment through sustainable land management, farming, and horticultural practices which includes reducing the use of chemicals. 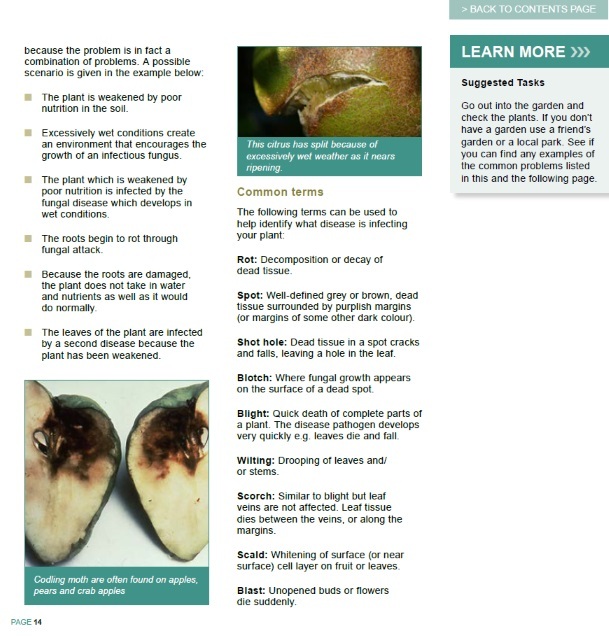 It is therefore important that plant problems are correctly identified so that an appropriate treatment can be chosen. This will help to prevent useless spraying of possibly harmful chemicals or, perhaps more importantly, the spraying of beneficial insects. 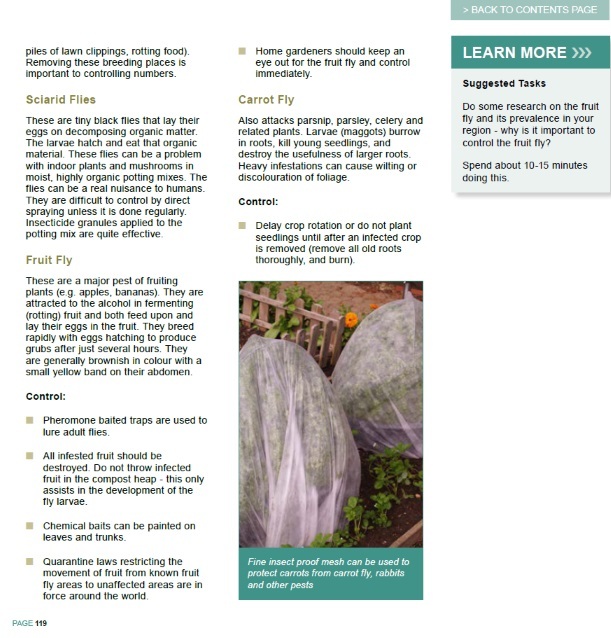 Quick methods for assessing plant problems tend to be less technical and include things like: matching the problem to a photograph or description (in a book or on a chart), checking problems common on that plant, and identifying broad groups rather than specific diseases. Before applying the best treatment, one needs to know what is causing the problem/s. It requires a great deal of knowledge and expertise to be able to precisely diagnose plant troubles. Do not expect to develop such ability quickly. The first and perhaps most important skill to develop is how to inspect a plant in order to discover the telltale symptoms which will provide an indication of what is wrong. This process requires practice and careful observation. You will learn the techniques and what is used to treat a variety of diseases. Help desk- contact our help desk here with the subject title: 'Help Desk Short Course' .